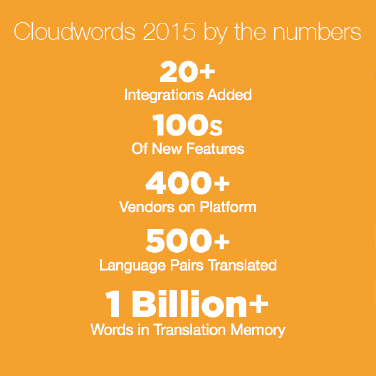 Important Cloudwords Features & Functions You Don’t Want to Miss! In Anthony Bourdain’s bestselling book, “Kitchen Confidential,” he provides a behind-the-scenes look at the restaurant industry and reveals what is really going on inside NYC kitchens. (Some things you may not want to know!) I thought of the book recently while I was preparing notes for an upcoming session I’ll be presenting at Dreamforce next week. In the marketing industry—and global marketing in particular—a lot goes on behind the scenes that marketers either accept as “just the way it’s done”, or would rather not think about, or don’t even realize is happening at all. While we would like to think that a cloud-based, integrated workflow solution is all anyone needs to go global, we know it’s much more nuanced than that, not to mention more complicated. That's why we created our latest eBook 5 Truths of Content Globalization. What a translation automation platform like Cloudwords really does is help companies change their thinking: the ease, transparency, and reduced costs serve to highlight long-held beliefs about manual processes, political (vs.commercial) silos, and broadcast vs. dialogue-based communications with prospects and clients. Suddenly, the artisanal nature of content translation, distribution and measurement can be automated. The walls between functions can become more porous. You can truly meet clients where they are -- both in platform and language. And, rather than presenting these as a wish list for next year’s budget, they're seen as a source of smart revenue generation. What Does Elvis Have to Do With Indian Language Translation? 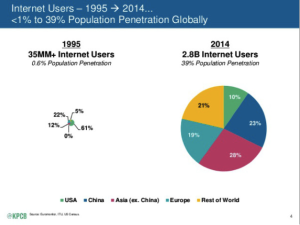 When Mary Meeker recently released her annual Internet Trends Report, it set off a globalization craze. Armed with a treasure trove of data, marketing teams are now scrambling to expand their content, services and products into new markets. Are You Complicating Things for Yourself and Your Clients? Translating global marketing campaigns into business success is a matter of…translation. Despite technology bringing the world much closer together, the global market remains multi-lingual. To reach even 70% of the global market, your company needs to speak 12 separate languages. To reach 90% of the world’s potential customers, you need to be fluent in 21. Parlez-vous translation automation? We all read the facts, likely on our own phones: mobile now accounts for 60% of digital consumption. 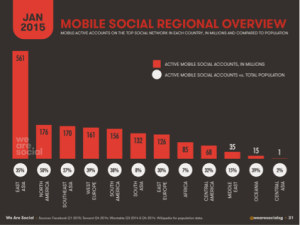 Mobile has taken over and is even more pronounced in Asia, with high growth rates elsewhere. A search for “mobile first marketing” renders 337,000,000 results. ...isn’t true in business and marketing. In baseball, fans are well aware of the “home field advantage” teams enjoy when playing at their beloved local stadiums. The cheers are louder, the beer is colder. And, because of familiarity, they feel more confident that their team will win. In marketing, however, it doesn’t pay to play favorites with your ‘home field’ audiences, especially when it comes to translation and localization. The English language accounts for a little more than 20% of the global market opportunity, and yet a typical enterprise has over 95% of their written assets in English. SSSTTRIIIKE! While the present situation may be explainable, the plans for adapting in the future are surprisingly short-sighted. Over half of marketers have no strategy in place for multilingual marketing and 8% of companies do not translate any content at all. Perhaps this lack of execution is because it’s hard to know where to start. Research suggests that 85% of Senior Global Marketers feel unprepared to meet the key challenges in reaching global consumers. What’s even more perplexing is that many of these same marketers work on global teams. Just as workers are learning to collaborate across the globe, so too must our processes and platforms “collaborate” with each other. Old cut and paste processes and standalone solutions have gone the way of the Yankees ‘House that Ruth Built’ and Boston’s ‘Curse of the Bambino’. Just like for these old rivals, It’s time to build a new playing field and a new championship-winning approach… the ‘Post Season’ is here and its time to Play Ball! Anything that relies on globalization for growth, like a business or an investment portfolio, benefits from diversification because it minimizes risk and increases opportunity. In marketing, this is localization – the ability to quickly and consistently translate words and ideas to suit a local audience. So, maybe marketing is a bit like baseball after all, but from an All Star coaching perspective. Diversification, seamless integration and flawless deployment. 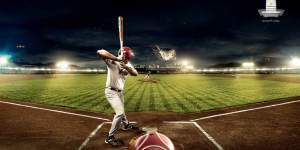 Is your business ready in the batter’s box to market globally? Cloudwords’ translation automation platform helps companies identify new revenue opportunities and grow global market share, and we’re proud to again be included among the leading global innovators—some of which are also our customers!—whose game-changing approaches and technologies are disrupting markets worldwide. 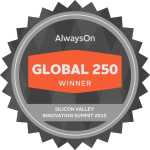 We’re honored to be recognized by AlwaysOn as a disruptor in our industry and to once again be named one of the AlwaysOn Global 250 winners for the second year in a row.